While not 100% original in design, the Milsig K-Series took what others had done before and completed the thought. This marker took the milsim market to a new paradigm (pun unintended), and continues to be one of the most talked about milsim markers. 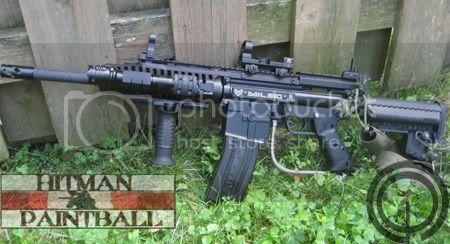 The Milsig is widely known as the toughest mainstream magazine fed paintball marker. The Milsig design is based off of single tube blowback internals like the Tippmann A5 making it relatively out-dated, but very reliable and low maintenance. Because the Milsig is a relatively new line of marker it has not yet lived up to its true potential, but is off to a great start.